Nabih Tahan’s experience with Passive Houses began after moving to his wife’s village in Austria in 1992, Nabih established a design / development firm which built 28 condominiums. The first project transformed a reinforced concrete barn into 15 condos. 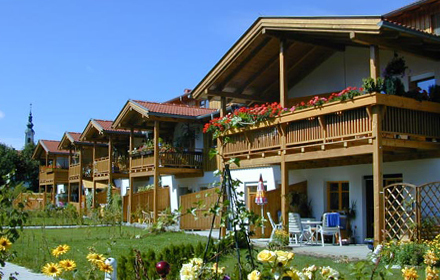 Nabih quickly learned that the process of building in Austria is much different than in the USA. Emphasis is on performance. Architects and engineers are not only involved with the design, but are also concerned about building science, the role of the building envelope and the actual energy performance (vs energy calculations) of their buildings. It is the Architect’s role to create this package and the builder’s role to make sure it performs accordingly. The original building was a barn used to raise 100 bulls. 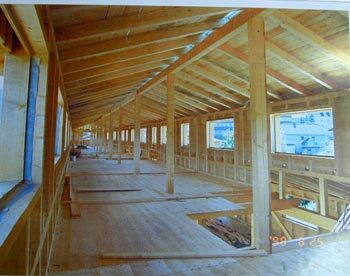 The roof of the barn was carefully dismantled and rebuilt on another farm building. 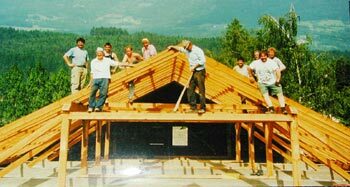 In terms of construction techniques, Nabih was extremely impressed at how, in 1995, while building his first condos, the carpentry company, using a computerized and automated manufacturing system was able to prefabricate the entire timber frame structure and assemble it on site in the shortest time imaginable and to the greatest level of dimensional accuracy. Two new stories in timber frame construction were added on top of the original clay block / reinforced concrete structure. 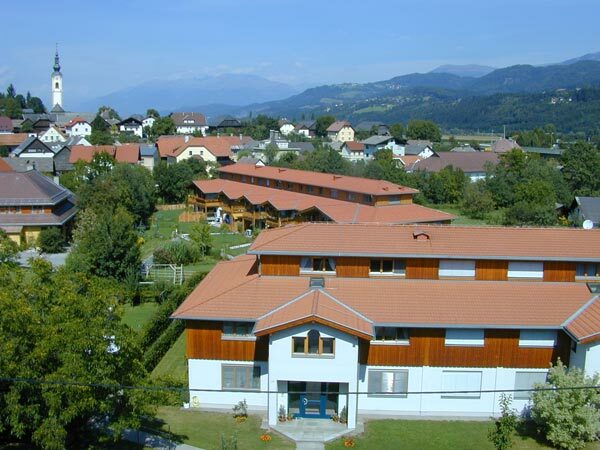 The project was developed the generation before the Passive house standard. 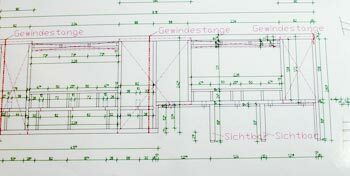 This standard, called the NiedrigenergieHaus, Low Energy House, improved on the code requirements for insulation and air-tightness. The low energy house standard developed into the Passive House standard after mechanical ventilation and heat recovery were added to the building.